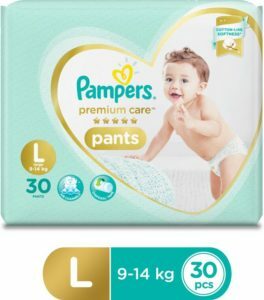 Flipkart is selling Pampers Premium Care Pants – L (30 Pieces) at Rs 374. It is a very good deal. SO, hurry up!! its a awesome Product. It ia a good productl..Hurry up!! How to buy Pampers Premium Care Pants – L (30 Pieces) at Rs 374?